Elbow chair CH20 is one the Hans Wegner materpiece. 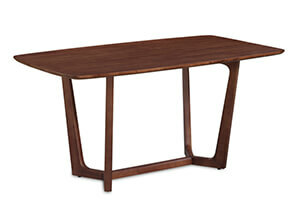 It has a simple ang elegant features making it popular in dining room, restuarant and other reception areas. 1. Model Number: N-C5005 2. Modern Danish furniture design 3. Oak / beech frame 4. Manufacture: Norpel Furniture, Foshan, China 5. 20GP: 140pcs, 40HQ 340pcs 6. MOQ: 10 pieces 7. Available: OEM Servie and Purchase Service for out of our product range. 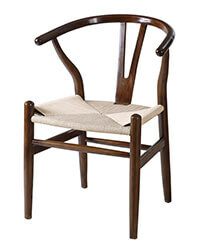 Elbow chairs, as its name implies, is named for its long horn. 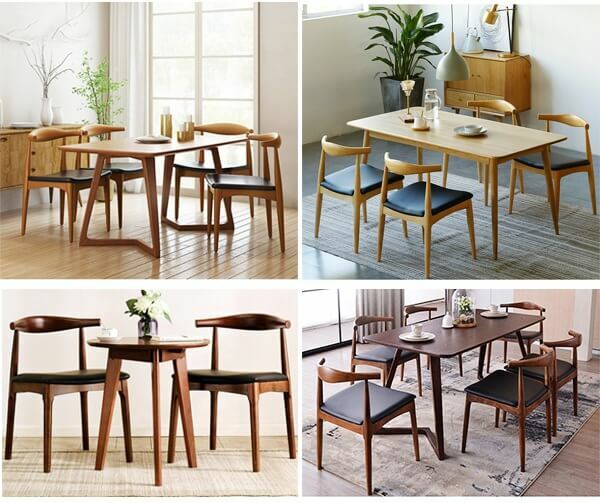 It's designed by Hans J. Wegner, the great pioneer of Danish design history. He designed his famous wegner elbow chair in the 1960s. The CH20 elbow chairs combined the features of Ming & Qing Dynasty and the Nordic elements. Elbow chair ch20 is simple and elegant model. The seamless technics make the whole chair delicate and exquisite. The arc sitting line is close to human body engineering, increasing the comfort of chair. And solid wood frame keep the chair strong and stable. The Nordic simple and graceful design upgrades the whole image of home. 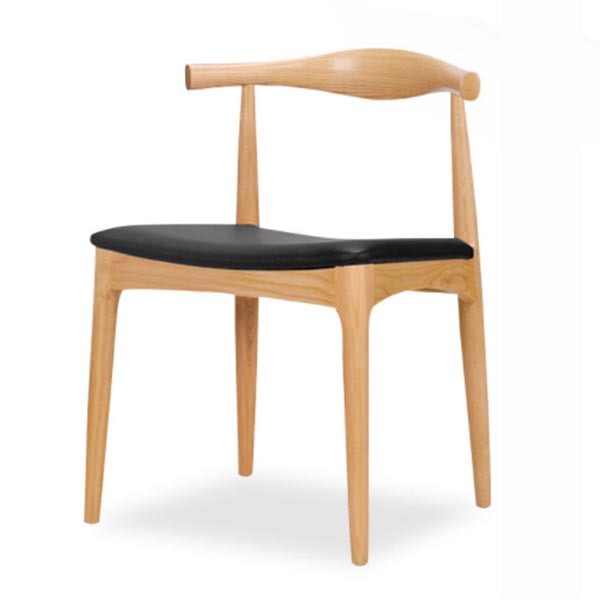 Elbow chair replica mainly uses the white oak or beech materials. Their texture surface has a beautifully mountain-like or radial shape. Having high mechanical strength, oak wood has a good function of worn and cracking resistance. The seat is soft with dense foam and surface with PU leatherette or genuine leather padding. The chair frame popular colors are clear lacquer, walnut, dark walnut and black. The CH20 is an attractive and simple stacking chair to beautify your dining room. It's a good-looking living room chair and kitchen side chairs too. The low back and pure seat makes it also a fine desk chair. When enjoying the meal around dining table, we should not forget a good chair bring us a more pleasant dining experience. When talking to a chair, people will think it just a tool. In fact, the chair is the emotional sustenance of a family and furniture with a warm atmosphere. Hans J Wegner designed many famous danish style chairs. Click the below photos for details. 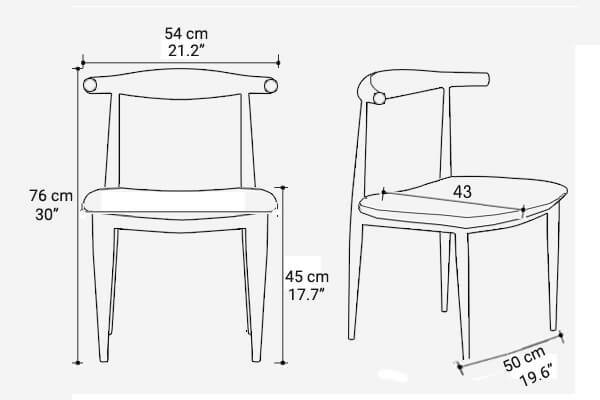 Or more other dining chair models, check here. 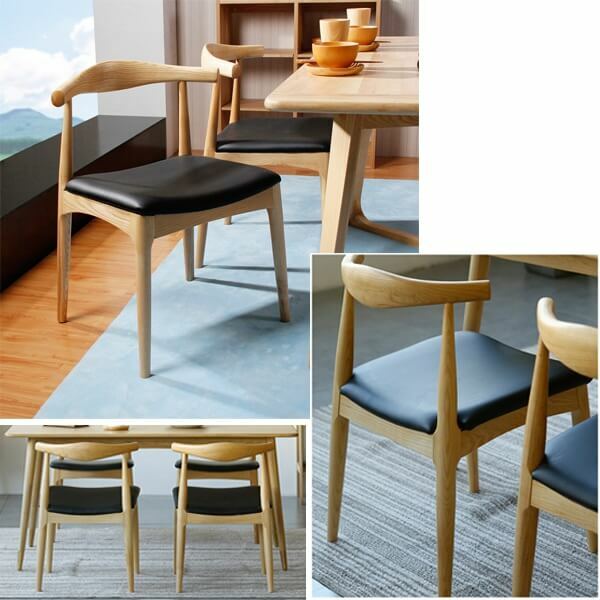 Elbow chair can be matched with so many kinds of dining room tables, to provide differernt decoration of home and office. 1. OEM Service: we can provide OEM service if the customer have the new products or new drawing. 2. Purchasing Service: We can provide the Purchasing Service if the customer wanting the other products which is not from our products range.